Acclaimed writer Brenden Fletcher (MOTOR CRUSH, Gotham Academy) and Eisner Award-winning storyteller Karl Kerschl (Gotham Academy, The Abominable Charles Christopher) team up with colorist Msassyk (Gotham Academy) and letterer Aditya Bidikar (MOTOR CRUSH) for the lush, breathtaking fantasy ISOLA this April. The captain of the Royal Guard has fled the capital city with the Queen of Maar, suffering under the effects of an evil spell. Captain Rook’s only hope of returning Queen Olwyn to her throne and saving the kingdom from impending war lies on an island half a world away—a place known in myth as Isola, land of the dead. 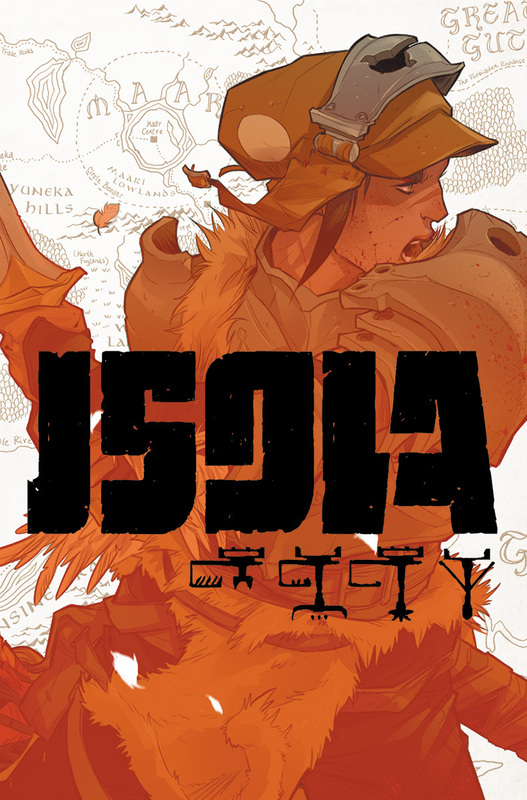 ISOLA #1 (Diamond code: FEB180500) hits comic shops Wednesday, April 4th. The final order cutoff deadline for comics retailers is Monday, March 12th.